Danijela Dolenec is the principal investigator on the project Disobedient Democracy. She works as Assistant Professor at the Faculty of Political Science (UNIZG), where she teaches comparative politics, protest movements and social science methodology. She received her first master degree in public policy from the LSE (MSc 2005), the second master degree in European studies (FPZG 2007) and her doctorate at ETH Zürich (PhD 2012), under the supervision of Frank Schimmelfennig. As part of her doctorate, Danijela studied at Harvard University as a Fulbright Scholar (2007/8). Her primary research interest is the crisis of representative democracy in Europe, explored from the perspective of mass politics and challenges to conventional political institutions. Her previous work focused on the democratization of post-socialist countries. Her book Democratic Institutions and Authoritarian Rule in Southeast Europe (ECPR, 2013), received the National Science Award in 2013. 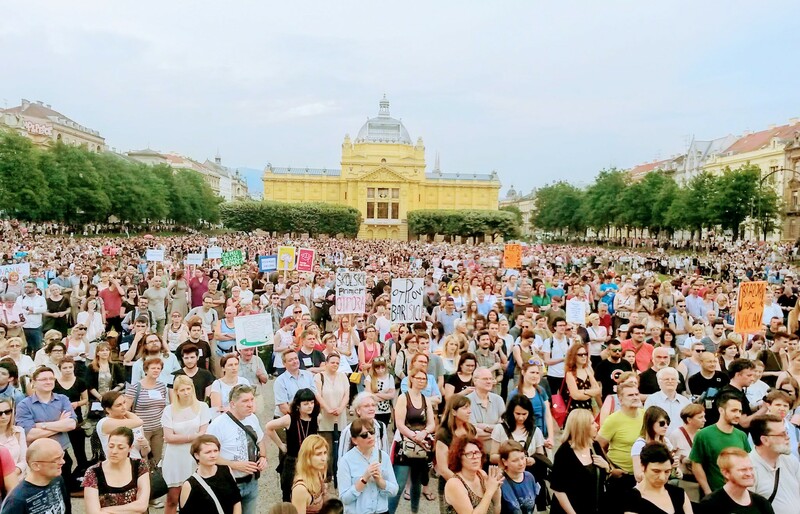 Dolenec, Danijela, Doolan, Karin i Tomašević, Tomislav (2017) ‘Contesting Neoliberal Urbanism on the European Semi-Periphery: the Right to the City Movement in Croatia’, Europe Asia Studies. Kovačić, Marko and Dolenec, Danijela (2017) ‘Youth Participation in the Age of Austerity in Eastern Europe’, in Young People Regenerating Politics in Times of Crisis, eds. Pickard, Sarah and Bessant, Judith, Palgrave MacMillan (London). Dolenec, Danijela (2016) Democratization in the Balkans The Limits of Elite-Driven Reform, Taiwan Journal of Democracy, 12(1): 125-144. Dolenec, Danijela, Žitko, Mislav (2016) Exploring Commons Theory for Principles of a Socialist Governmentality, Review Of Radical Political Economics. 48 (1); 66-80.